This page is an example of how a catalog page can be created for a single customer, that only they can see. If you are looking for your own organisation's page that you should have access to, and can't see it, make sure you are logged in and try again. This video is an example of how your own agreement(s) can be custom automated for you. 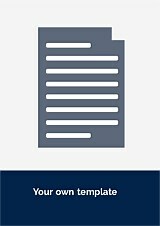 LawHawk is happy to give you a quote for automating and hosting your own template(s). Please get in touch if you would like to discuss this further.